Super brightness with the best qualified 5050 SMD LED. Low temperature, low power consumption& lasts up to 50,000 hours. With a wireless remote control, it is possible to set the light colour to be red, green, blue, and white and so on. The brightness is adjustable, with two buttons on the controller, you just have to press the button to turn up or turn down the brightness. 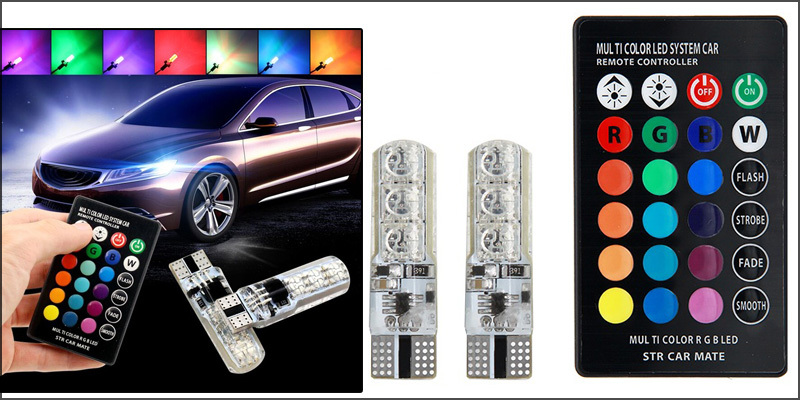 Usage: reading light, roof light, trunk light and interior light.